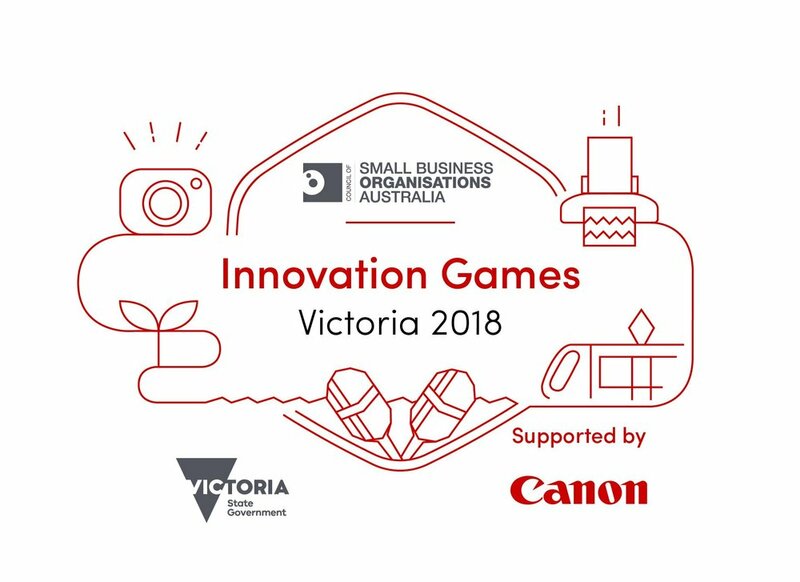 The latest challenge in the COSBOA Innovation Games (Victoria) 2018, supported by Canon Australia, was held on Thursday 11th October at the Melbourne Investment Centre. 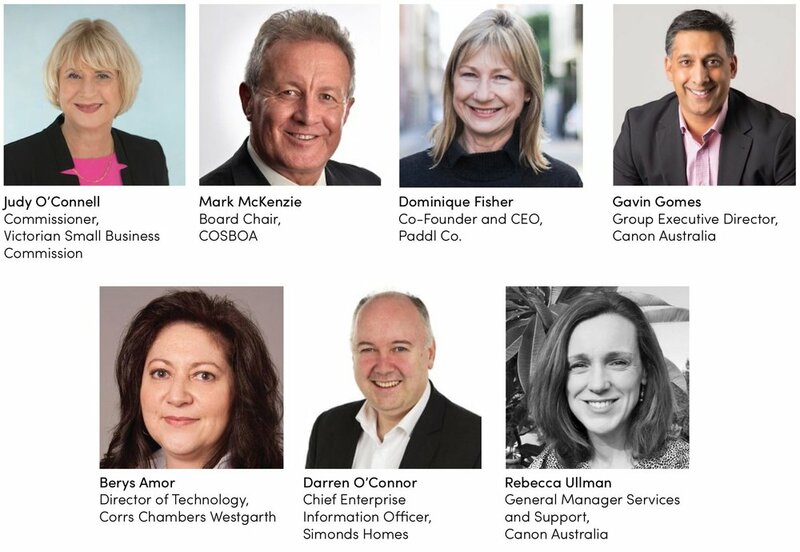 Canon challenged students, graduates, and industry professionals to develop innovative digital transformation strategies for Victorian businesses. Here’s what happened. Day 3 of the COSBOA Innovation Games (Victoria) 2018, supported by Canon Australia, saw Paddl Games return after two incredibly successful challenges in Hastings and Bendigo. Students and graduates teamed up with professionals from a variety of businesses to innovate solutions based on the theme of ‘Staying ahead of the curve: accelerating your business to thrive in the digital world’. 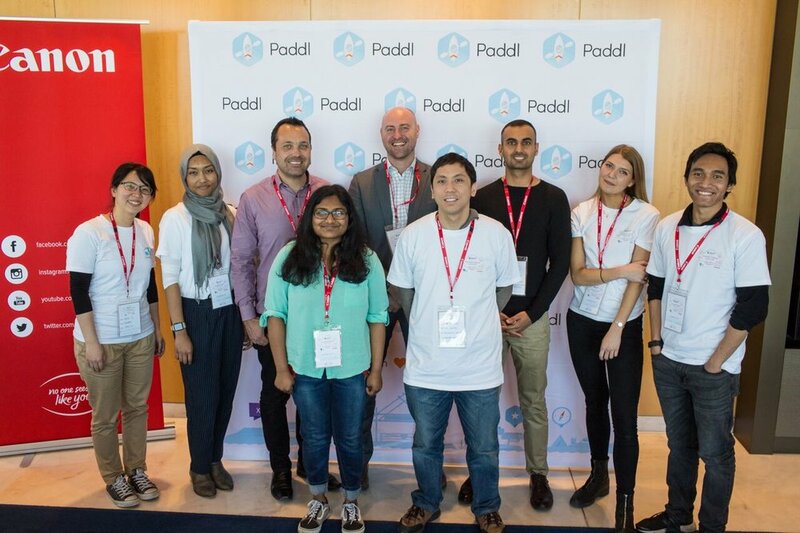 Paddl Co., COSBOA (The Council of Small Business Organisations Australia), and the Victorian State Government delivered another high impact Innovation Games. Participating in the games were 10 diversified teams of 11 participants each; including 6-7 students or graduates, 2 representatives from participating businesses, a Canon employee, a Paddl Games Alumni (someone who has previously competed in the Paddl Games), and a Paddl Games facilitator. Employees from across the Canon business were also selected to complement the skills mix of the teams and the participating businesses. In the days leading up to the Innovation Games, team members ‘virtually’ met via the ‘Slack’ platform, sharing the skills and knowledge they could bring to the table to help their team succeed during the challenge. Their first task was to name their team and then get ready for challenge day! Our teams getting pen to paper- starting out with the wildest ideas is an integral part of the process! All participants on the day were highly engaged and worked with their Paddl Games facilitators to apply design thinking, creative problem solving techniques and collaborative decision making to address the theme of transformation through the course of the day. 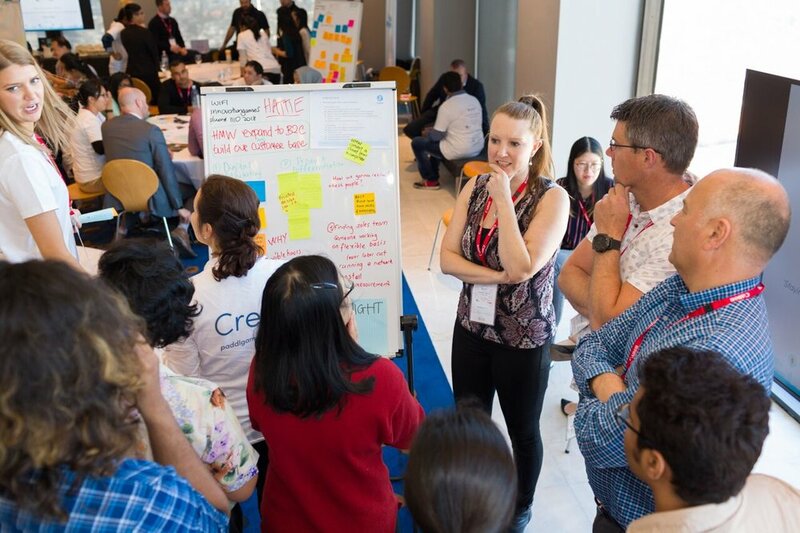 Over the course of three design sprints, each team worked hard to produce spectacular solutions that resulted in practical ideas that would help their small businesses get an edge in the market. It was clear that there were great minds at work! After a day packed-full of ideation and innovative thinking, teams came together to present their solutions to the Judging Panel of industry experts. Teams were judged according to the effectiveness of the solution in market, potential of implementation, creativity of the solution and relevance to the overall challenge for the day. Prizes were awarded to the top three team solutions as well as an honorable mention award and individual awards given to outstanding Paddlrs whose performance stood out over the course of the day. The judges had their work cut out to narrow down some very creative digital ideas into each of the respective award categories! WCS provides a variety of cleaning services across government and corporate facilities, commercial and industrial buildings, the educational sector and also various waste management services. Winning Idea: Increasing customer retention and attraction without cutting prices, by streamlining business operations. This is achieved by tracking and monitoring worker activity as a means to provide feedback and improve efficiency. Rhino 4x4 specialises in the design and innovation of stylish 4WD Accessories. Winning Idea: Simplifying Rhino 4x4’s content creation needs while simultaneously increasing customer engagement. This will be done by incentivising user generated content across their social media platforms. Team members in order of appearance (from left to right): Irene Lin (Paddl Co.), Farah Saiful Hilmi (RMIT/Monash University), Ben Lee (Rhino 4x4), Kannaki Sujith (Swinburne University of Technology), Neale Banfield (Canon), Phil Nguyen (Swinburne University of Technology), Haris Ashraf (Swinburne University of Technology), Hattie Aspinall (Paddl Facilitator),Gabrian Balelang (Paddl Alumni). Metro Shades are a wholesale manufacturer of window coverings, who produce their own blinds through their sister company ‘Ultra Cut Industries’. Winning Idea: Expanding their customer base and increasing overall brand awareness through a holistic online strategy addressing search engine optimisation, web design and social media. Team members in order of appearance (from left to right): Dipanjali Arcot Jayaprakash (Deakin University), Truc Thach Duong (University of Melbourne), Simon Meens (Metro Shades), Madeline Moey (University of Melbourne), Garth Jacobs (Metro Shades), Emel Aksan Karabel (Paddl Alumni), Linda Stott (Canon), Gabriella Astiti Harsanti (Deakin University), Venkatesh Kommineni (Charles Sturt University), Shafiuddin Mohammad (Deakin University), Hattie Aspinall (Paddl Facilitator). Personal DNA testing to provide insights on Health and Wellness. Winning Idea: Drive repeat purchases for the brand by retargeting and implementing a subscription model. Team members in order of appearance (from left to right): Sheena Greene (myDNA), Sumaya Habib (RMIT), Thomas Ho (University of Melbourne), Vanessa Samuel Pangestu (University of Melbourne), Ankit Sobi (Paddl Alumni), Davira Rizky Chairunnisa (University of Melbourne), Radityo Prakoso (Deakin University), Amber Truong (Swinburne University of Technology), Allan Sheffield (myDNA). Madeline Moey featured with Gavin Gomes, Group Executive Director of Canon, accepting her award for Best Pitcher Award. And that’s a Wrap... for now! The Innovation Games are a perfect way to network, develop your creative problem solving ability and work with like-minded students and employers, no matter what your background. Don’t miss out on the next Innovation Games; create your Paddl Profile today and stay tuned for exciting job opportunities through paddljobs.com as well!